You might’ve heard all this talk about Dry January since the start of the new year. So what is it? Basically, a phenomenon started in 2012 led by the charity, Alcohol Change UK. It’s a booze free challenge where participants don’t drink alcohol for the entire month of January. For some, it’s easy especially after the holidays. Thanksgiving, Hannukah, Christmas, and New Years can mean lots of drinking; with friends, family, and coworkers. So, to give your body and mind a rest, January means no wine, beer, or other boozy treats. Need help avoiding that glass of wine after a terrible day at work? We have some Dry January tips for you. This advanced level conference/meeting continues to bring together global experts from multiple disciplines to share international research. From the pure science, to prevention, diagnosis and intervention across the lifespan, the conference will address the implications of this research and promote scientific/community collaboration. It provides an opportunity to enhance understanding of the relationships between knowledge and research and critical actions related to FASD. First held in 1987, the conference brings together people passionate about this work in a stimulating environment where they can learn and forge new partnerships. New U.K. research has found that taking part in Dry January, which involves staying away from alcohol for a month, could help people lose weight, sleep better, boost energy, save money, and reduce drinking long-term. Carried out by the University of Sussex, the new study surveyed U.K. adults who took part in Dry January in 2018, an event which is organized by the charity Alcohol Change UK. we look forward to connecting with you in 2019! If you are in the Edmonton area then this job may be for you! The Alberta PCAP (Parent-Child Assistance Program) Council supports Fetal Alcohol Spectrum Disorder (FASD) prevention programs throughout Alberta by providing support through learning and networking events, training, and data collection services. The Provincial Coordinator will work from a home office to coordinate all projects of the PCAP Council, supervise two part-time staff, manage the organization’s budget, and prepare all necessary reporting. Please click herefor full employment description. 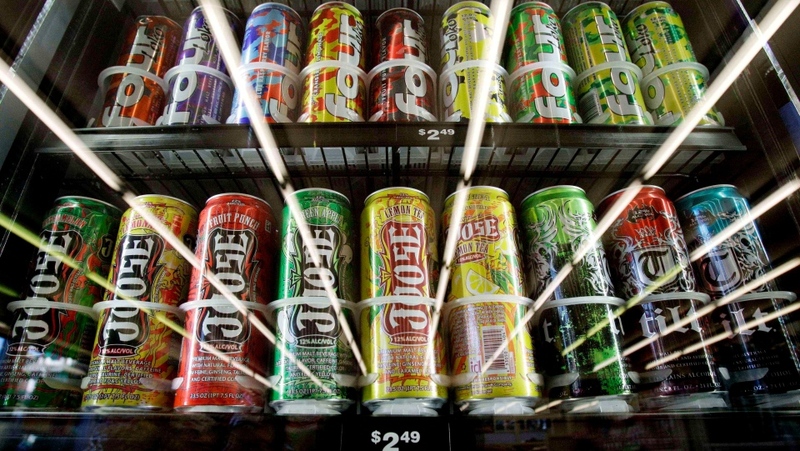 The federal government wants to clamp down on the rise of sugary, pre-mixed alcoholic drinks after research suggests the products are creating a public health risk among young people. Health Canada said it is concerned with the dangers of these flavoured drinks that are high in alcohol and sold in large, single-serve cans. The department wants to amend Food and Drug Regulations to reduce the amount of alcohol in this type of drink from the equivalent of four servings of alcohol per can. The amount of alcohol in containers under one litre will be limited to no more than 1.5 servings. The move comes after Athena Gervais, a 14-year-old Quebec girl, died in March after reportedly drinking FCKD UP, which contained 11.9 per cent alcohol. That’s equivalent to four standard drinks in a single 568-millilitre can for less than $4. The company that manufactured the drink ceased its production following her death. The proposed regulatory changes would restrict the alcohol content in these beverages to 25.6 ml of alcohol when they are packaged in containers of 1,000 mL or less. But some advocates say the proposed changes don’t go far enough. Educ’alcool, a lobby group that promotes responsible drinking, says it should be one can, one drink. “We don’t deny that it’s better to limit to 1.5, rather than four, as it is the case now,” said Hubert Sacy from Educ’alcool. Health Canada said the taste of alcohol is often masked by a highly-sweetened flavour, which can lead to unintentional overconsumption, alcohol poisoning or death. “I am deeply concerned by the increasing availability and appeal of these beverages that are high in alcohol, and their appeal to youth,” Health Minister Ginette Petitpas Taylor said in a press release. Health Canada’s low-risk drinking guidelines recommend two standard drinks per day for women and three for men. “A quarter of youth in Canada under the legal drinking age use alcohol excessively, which can lead to learning and memory problems, car accidents, chronic diseases and violence,” Dr. Theresa Tam, chief public health officer of Canada said in a press release. Health Canada proposes that under new regulations these type of drinks should be sold in the following formats: 7.2% alc/vol in a 355 mL container; 5.4% alc/vol in a 473 mL container; 4.5% alc/vol in a 568 mL container or 3.6% alc/vol in a 710 mL container. A public consultation will be held from Dec. 22 to Feb. 5, with the proposed amendments published in the Canada Gazette. The changes could come into effect in the spring.